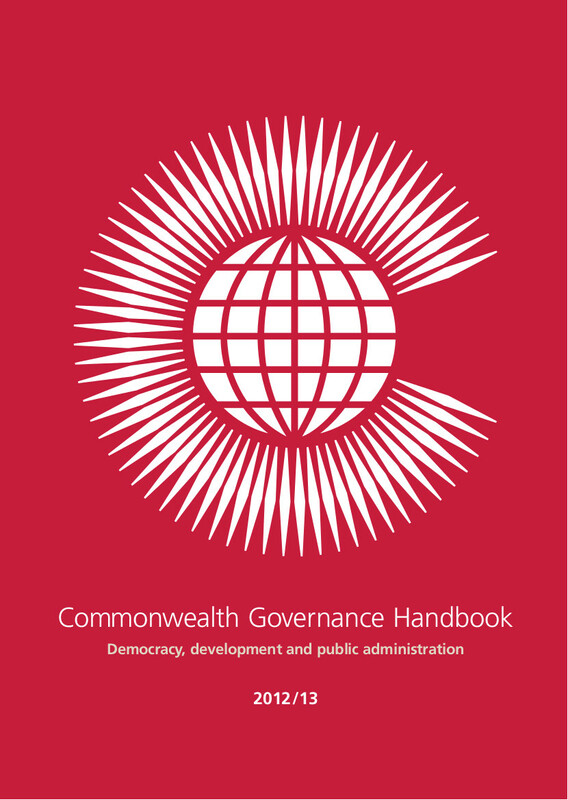 Commonwealth Governance Handbook is the first comprehensive guide to public sector reform in the Commonwealth. The Commonwealth Secretariat, though its Governance & Institutional Development Division (GIDD), helps member governments develop administrative structures that facilitate economic development while adhering to the five principles of good governance: accountability, transparency, predictability, capacity and participation. The publication also contains 54 governance profiles of member countries.